CCDT participated in the Celebrate Bandra Festival 2018 on the 19th, 22nd and 24th of November. 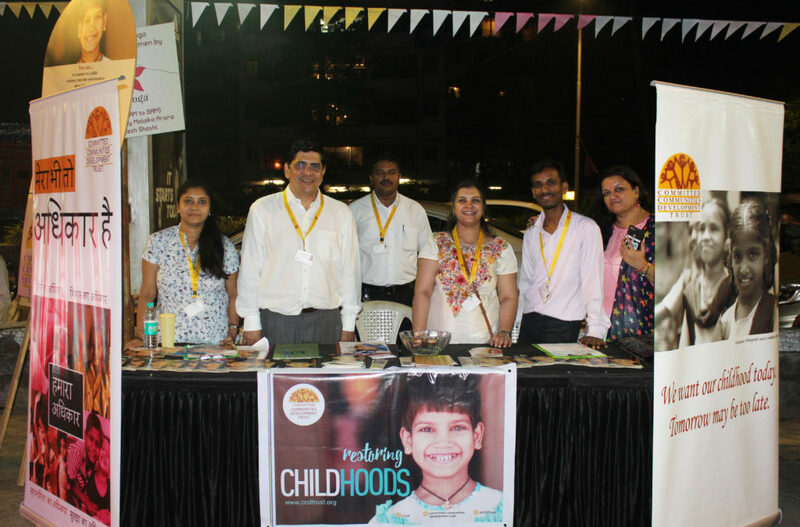 With the aim to inform individuals about CCDT’s Residential Care Program the team actively interacted with people visiting the stall. The CCDT team was ecstatic to receive such a positive response from visitors while promoting the ‘Sponsor a Child’ campaign. “It’s good to see the CCDT team is putting so much effort to brighten the future of these small children. I can sense the hard work behind it,” says Dr. K. Jagjit Singh who visited CCDT’s stall on November 22nd. Like Dr. Jagjit Singh more than 200 people visited the stall during the three-day event.